This patient visited with Dr. Friedman for a complimentary consultation eager to learn options for her smile utilizing porcelain veneers. The patient was a grinder and her front four teeth suffered from this. The patient’s front four teeth were worn, thin, and discolored. During the patient’s cosmetic consultation, Dr. Friedman took some digital photos. 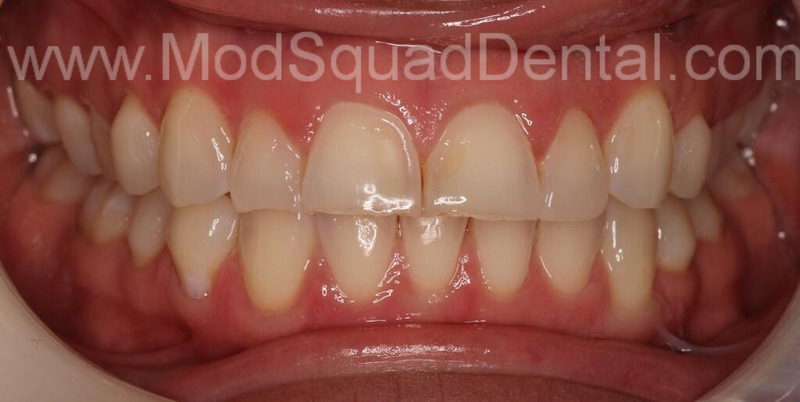 Dr. Friedman then digitally enhanced the patient’s before photos, giving her an idea of what porcelain veneers would look like enhancing her existing smile. 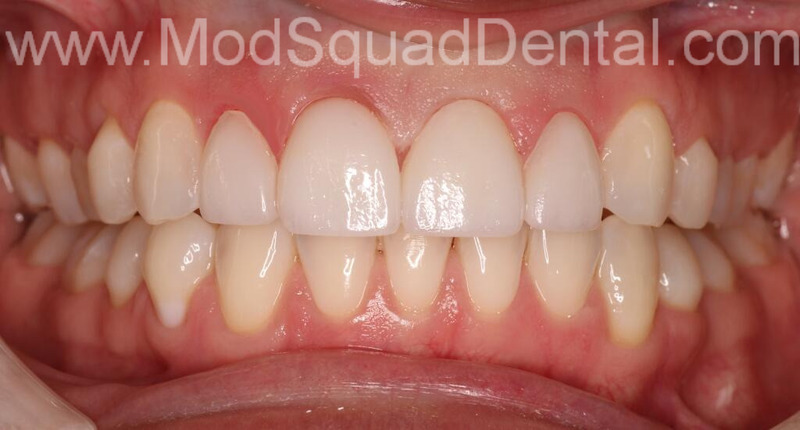 Dr. Friedman spoke to the patient about laser gum recontouring, or removing excess gum tissue in her smile line. This would give the patient a larger smile. Dr. Friedman spoke to the patient about her options for whitening her teeth. 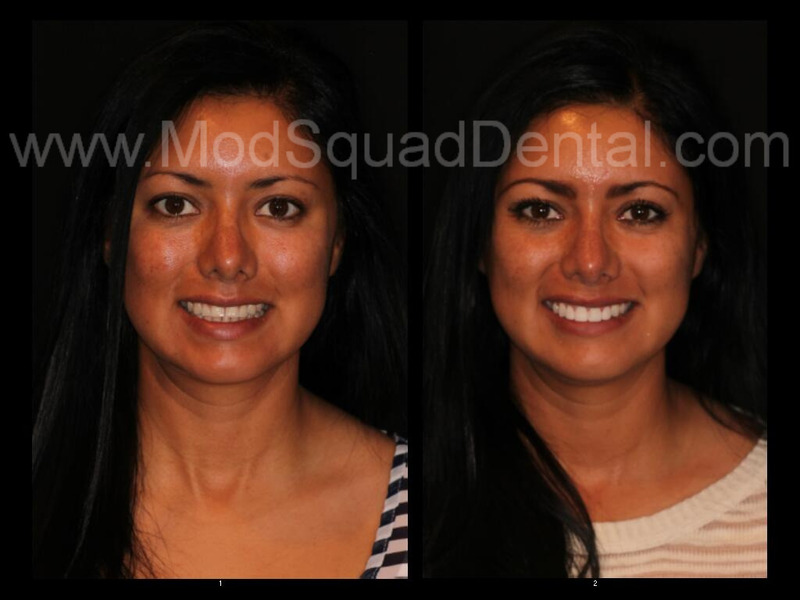 Dr. Friedman recommended ninety minute Zoom in- office procedure for a whiter smile and then placing four porcelain veneers on her upper four teeth to match the lighter color of her remaining smile line. The patient was seen by Dr. Friedman and the MOD Squad Team for two office visits. The above before and after photos show her amazing results. Monica could not have been happier with her new smile and just loves when her family & friends notice and comment on her pearly whites! If you or some one you know is interested in porcelain veneers or cosmetic dentistry, call Jess today, 858-547-0070 for your complimentary consultation.